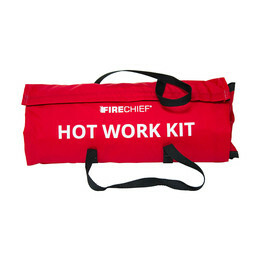 The Firechief Hot Work Kit is an all-in-one kit developed especially for contractors to carry while doing Hot Work on site. Suitable for contractors working on welding, soldering, brazing, grinding and drilling. Includes 2kg ABC powder fire extinguisher (approved to BSEN3). 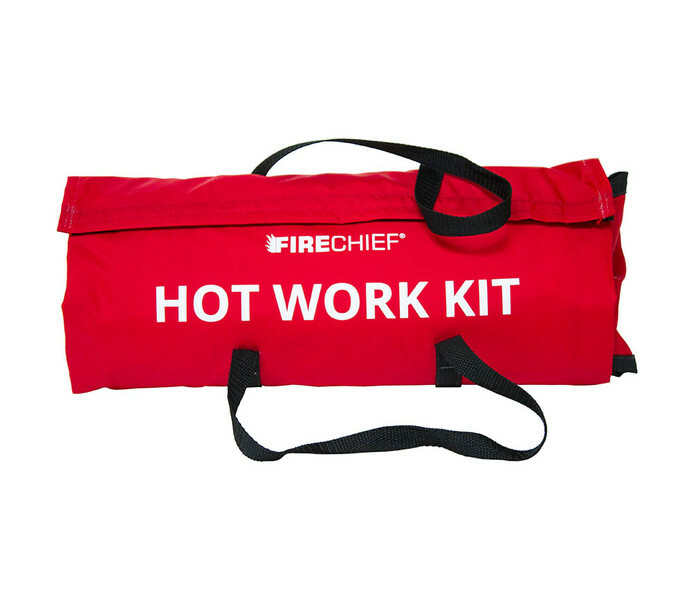 Includes K40 1.2 x 1.8m high performance fire blanket. Plastic pocket for storage of Hot Work Permit forms. Rolls up into an easy to carry, easy to store bag ready to take onto site.